Where I live, winter driving is a whole event. Somehow, even though we get snow every year, everyone forgets how to properly drive in a snowstorm. Over Christmas, there was a horrible 30 car pileup on one of the roads here! It’s because of events like this in the wintertime that I always make sure to carry a bin of essentials for winter driving. This little bin hangs out in my trunk and comes with everything I could ever need if something happened to me and my car while driving in the snow. Though I’ve never needed to use it yet, I love knowing that it’s there just in case. These are my essentials for winter driving! This. Is. A Must. 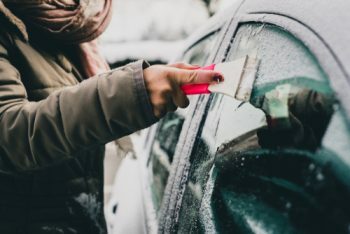 Have you ever tried to scrape snow and ice off of your car using things like a CD or a debit card? It doesn’t go well, and your hands get ICY cold. Make your life easier on chilly winter mornings by always keeping an ice scraper handy in your vehicle. I know, I know. 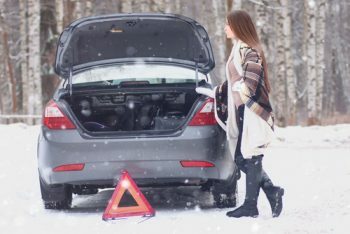 As a driver, it’s easy to think: “I’ll never get stuck in the snow.” But at some point everyone does, and it’s always necessary to have a game plan. 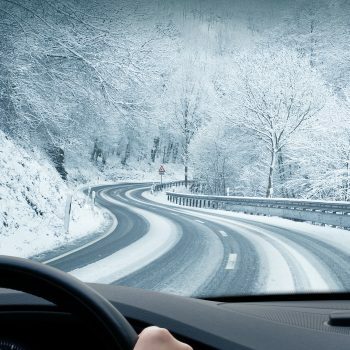 Keep sand, salt, cat litter, or any other kind of traction-aid in your car during the winter. Having simple items like this can save you hundreds instead of having to call a tow truck to get you out! And if you don’t ever need to use the traction aid on your own vehicle, I’m pretty sure you’ll run into someone who can at some point. If, heaven forbid, you find yourself stranded on the side of the road, it’s important to alert other drivers to your location. Having a set of road flares handy is a great way to alert others to your location, which keeps you and your family safe. 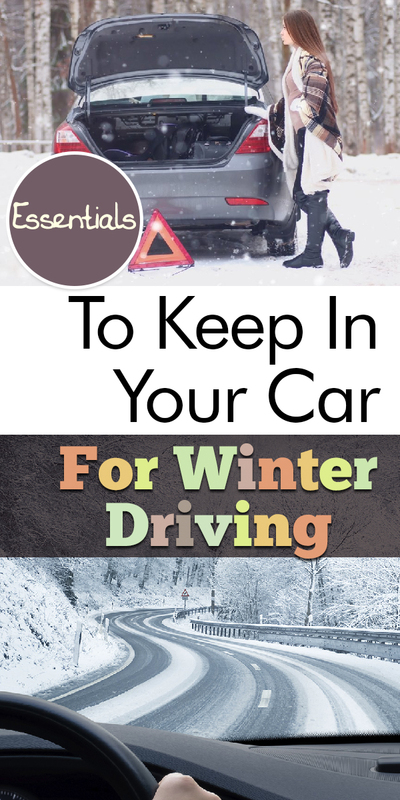 This isn’t just a winter driving essential, it’s more like an all-the-time driving essential! Always make sure to have a set of jumper cables in your car in case of a dead battery or other car troubles. Winter is cold. This is no secret. Keep a set of blankets or sleeping bags in the trunk of your car just in case you need them. Being cold is the worst, and a few blankets should help alleviate some of that discomfort. Blankets are great to have, but it can be hard to heat your hands and feet with only a blanket! Keep your toes toasty and your fingers nimble during a car break down with a set of instant heat packs. Depending on the brand, they are capable of giving off heat for hours at a time! Because the only time you really need a screwdriver is when you don’t have one. 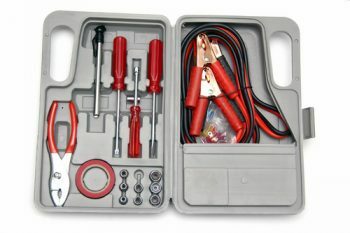 Keep a small tool kit in your car year-round for emergencies, should they happen. If the weather is bad and your car has broken down, you might find yourself stranded for days until help can arrive. Be sure to pack a supply of nonperishable food and water in the trunk of your car. Something as simple as this could really save your life. 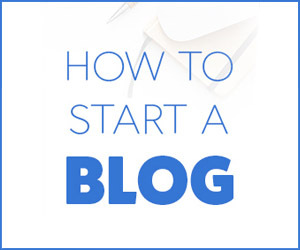 Stuck in a snowbank? A tow rope may come in handy to help you get your car out!